Check out Tobi's Sammie Plaid Cropped Pants Add some patterns to your 'fits. 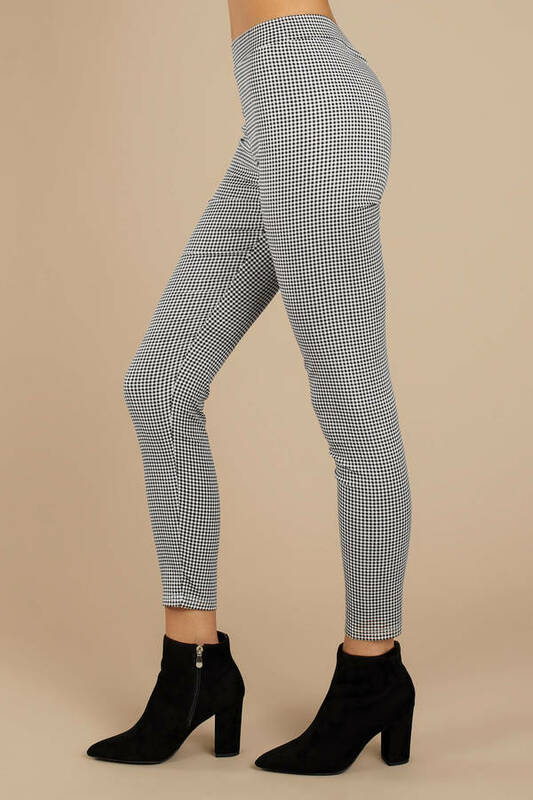 The Sammie Black & White Plaid Cropped Pants will add an instant dose of cool to your looks, featuring a mid rise fit, cropped construction, and awesome checkered print throughout. Perfect as work pants, these cool trousers will look incredible with a button up dress shirt and mules. Add some patterns to your 'fits. The Sammie Black & White Plaid Cropped Pants will add an instant dose of cool to your looks, featuring a mid rise fit, cropped construction, and awesome checkered print throughout. Perfect as work pants, these cool trousers will look incredible with a button up dress shirt and mules.